Quote Reply Topic: Bunch of MIDGETS! 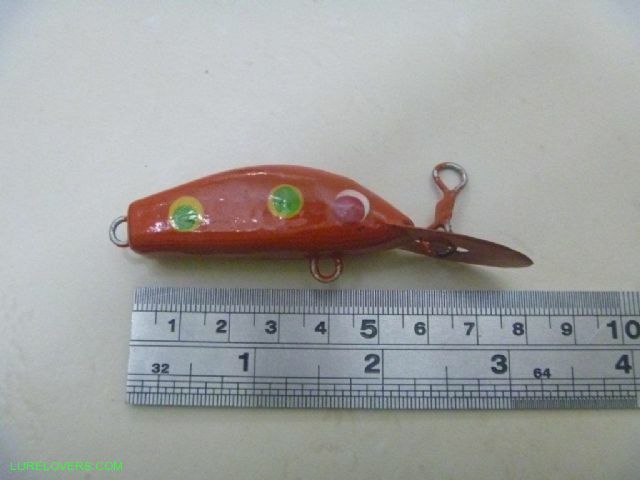 A while back I asked Les if he could make me a smaller lure than he has made before, something around the 2" size. Les was reluctant because smaller lures are difficult for him to manage. 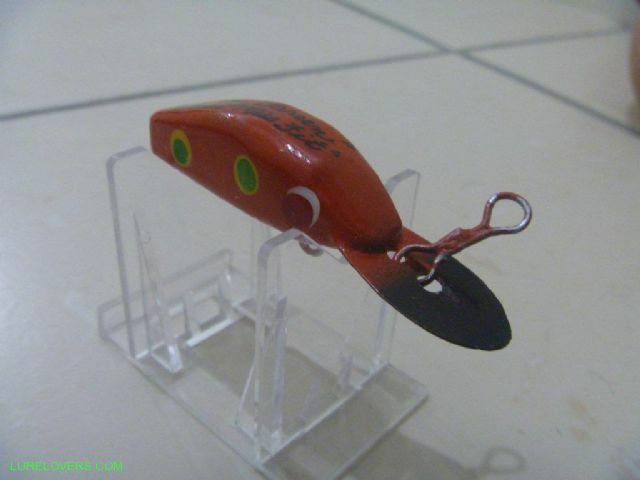 He made two new lures both orange, 55mm long which was a scaled down version of the 'Lil Squirt' (his favourite lure). 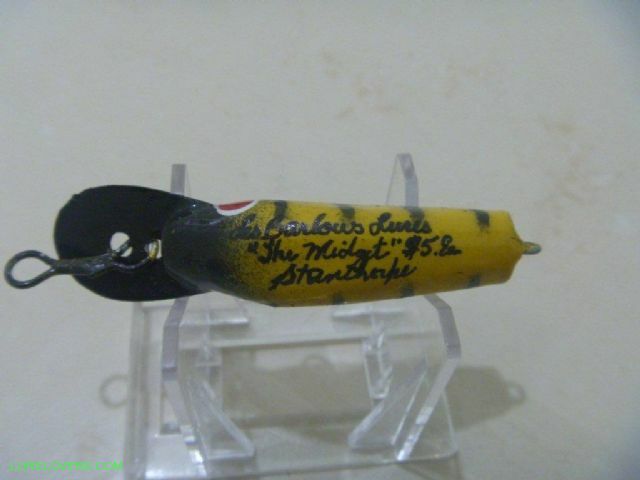 This new Les Barlow model was called the 'Misfit' originally, then Les changed his mind on the name, preferring to call this little guy the 'midget'! These are the first ones ever made...however a couple of blokes saw them, liked them and so a few more were made and apparently have been tested. No reports of fish as yet. I haven't tried this lure in the water but I am sure it will work a treat. I am hoping to maybe get a trout or a yellow belly on it at some stage or even a sooty or jack up this way. The articulated tow point would give deep trolling some options. 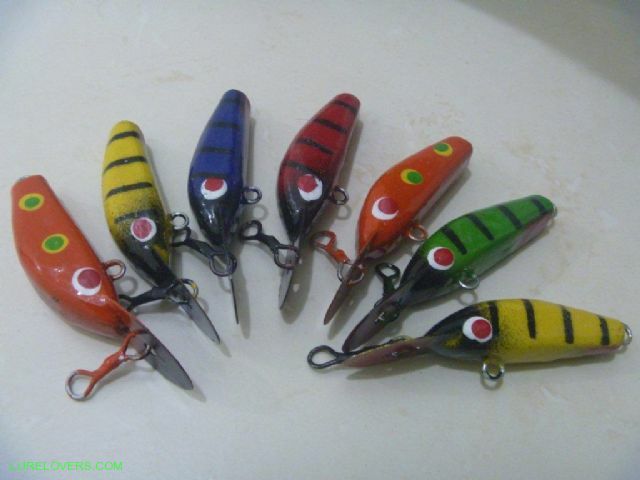 Nice little lures. They'd be great on the sooties(especially the orange and yellow ones) and they'd be tough enough to withstand the damage that the sooties dish out. great action...to good not to use....ive got a few and the bass love them.....need to get les some pics. Les then made about 12 or 13 with only 1 hook hanger - at the rear. It was one of these that something big smashed off the surface while I was watching it free floating towards some rapids where I was going to retrieve it from. Les was jumping out of his skin when I told him. He told me that same story last winter when I stopped in for a visit. They are a cute little lure. I don't think I scored any with one hook hanger. Is this the Midget that you mentioned. The tow point is painted silver as in around the bib and head. 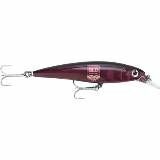 I also have Les's full range of lures. ahh i see now....it looked stainless from a glance....i got one or two of les lures too...good fishing lures up there with the best better than a lot. Sometimes Les does that , I have a few without his mark on them and another with the wrong name - was doing my head in until I realised what he had done - wonder if he was playing with me because he can get little cheeky. 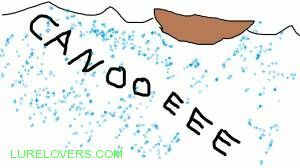 Any fish pics Nicho? Can we see you lures too? Hi steiny....I will see if I can find any fish pics, probably on computer somewhere, the midgets have got some nice bass I know I did take a few a while back. 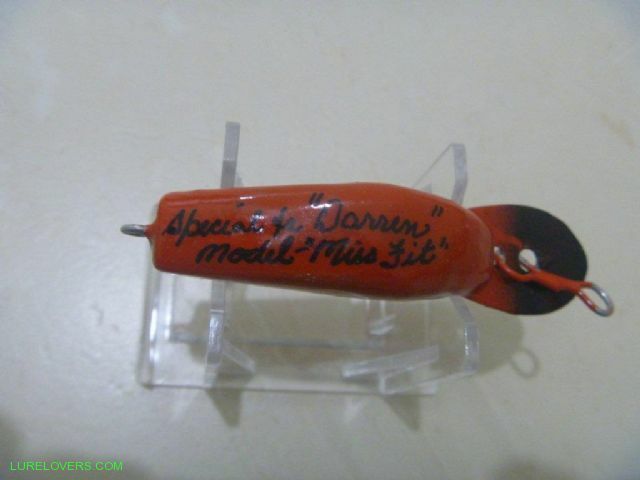 I got a couple of les barlows lures, plan on displaying a few also, I will post up in time. les barlow lures i have here. 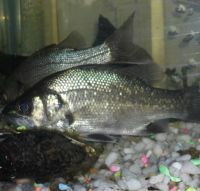 as for fish pics i think they must of been on my old phone that died, as i cant find them here, had a few good close ups too, will have to get back out there again and get a few more pics. Yeah I still love these little guys. I called in to see Les on my way home from Warwick last week and I found him in good health and spirits. Last time he was suffering from lower back pain and hadnt been near the shed in months so it was great to find him well and ready to have a long chat about cod and lures.